:: Who moved my cupola? Cover illustration: Marbled murrelets take flight, by Darlene McElroy. 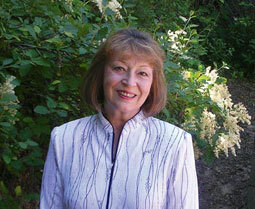 Author Carol Edgemon Hipperson recently published Radioman, a book about Pearl Harbor. 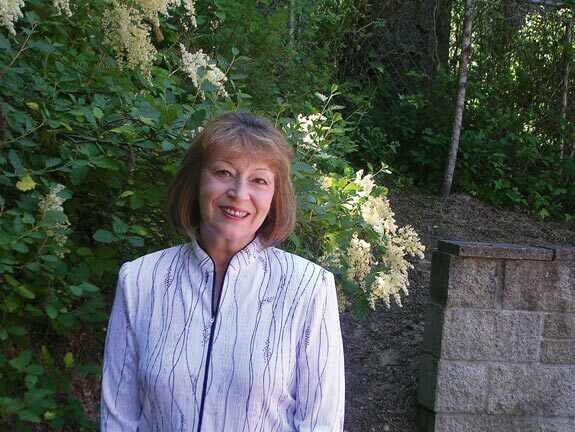 When Carol Edgemon Hipperson was growing up in Coulee City, the eastern Washington community was too small for a library. However, every other Thursday during the summer, the Bookmobile from the North Central Regional Library pulled into town. "I was allowed to check out as many books as I could carry," says Hipperson '75. "I'd go straight home and curl up with my books until dinner time." The idea that one day books with her name on the spine would appear on library shelves and in book stores didn't occur to her. "I never intended to become a writer," she says. "I just wanted to teach English. I couldn't imagine doing anything else." Today Hipperson is a full-time writer, and with her husband Brian'71 splits her time between Spokane and a summer residence on Newman Lake. In October her second book, Radioman: An Eyewitness Account of Pearl Harbor and World War II in the Pacific was published by Thomas Dunne Books/St. Martin's Press. For several years after graduating from WSU, Hipperson taught high school English. After the birth of her daughter, Alexandra '02, she decided to pursue a master's degree at Eastern Washington University. She says she went out of her way to avoid writing classes but couldn't get around a non-fiction writing requirement, taught by author and WSU alum Pat McManus '56. Hipperson agonized over her first assignment, a piece about a husband and wife sharing a pastorship at a Presbyterian church. When she turned it in, to her surprise McManus told her a magazine would surely buy it. He was right. New Woman Magazine picked it up, starting her on a freelance career. "I place most of the blame for anything I write on Pat McManus," she says. After the arrival of her second daughter, Meredith, in 1985, Hipperson put writing aside. Then a call from an old friend from Coulee City brought her a tempting project. The friend had an unusual request. "She said, 'I just talked to my Dad. I think he's dying, and he's finally ready to talk about his war experiences,'" says Hipperson. Having always loved history and wanting to help her friend, Hipperson agreed to meet with Dale Aldrich, who'd been a belly gunner during World War II. "His memories were so sharp and detailed," Hipperson says. Aldrich had flown missions over occupied Europe and Germany, and had been shot down, captured, and interned in a Nazi prisoner of war camp. Her interviews resulted in The Belly Gunner, an annotated biography published by Millbrook Press in 2001. Shortly after the book's release, Hipperson started getting phone calls, letters, and e-mails from World War II veterans. Many of them were asking when she would write about the sailors' experience in the Pacific. The idea intrigued her. She found a great subject in Ray Daves, a Navy radioman stationed at Pearl Harbor in December 1941. Daves agreed to meet with her, and on his 82nd birthday began to share his story. With 25 interviews, some tearful, over the course of a year and a half, Hipperson was able to produce a gripping first-person narrative weaving Daves' personal story into the historical framework of World War II. "The purpose of Radioman is to tell the story of millions through the eyes of one," she says. Hipperson's next book in what is becoming a series about war veterans will focus on a soldier during the Korean War. She's passionate about the need to tell these stories. "My theory is typically when guys come home from war, they don't talk about it. They don't pass on the lessons they've learned." Hipperson sees an urgent reason for these lessons to be shared. "If we did a better job passing on the stories of each generation of combat veterans, perhaps we as a society would be a little less eager to rattle the sabers and go to war."